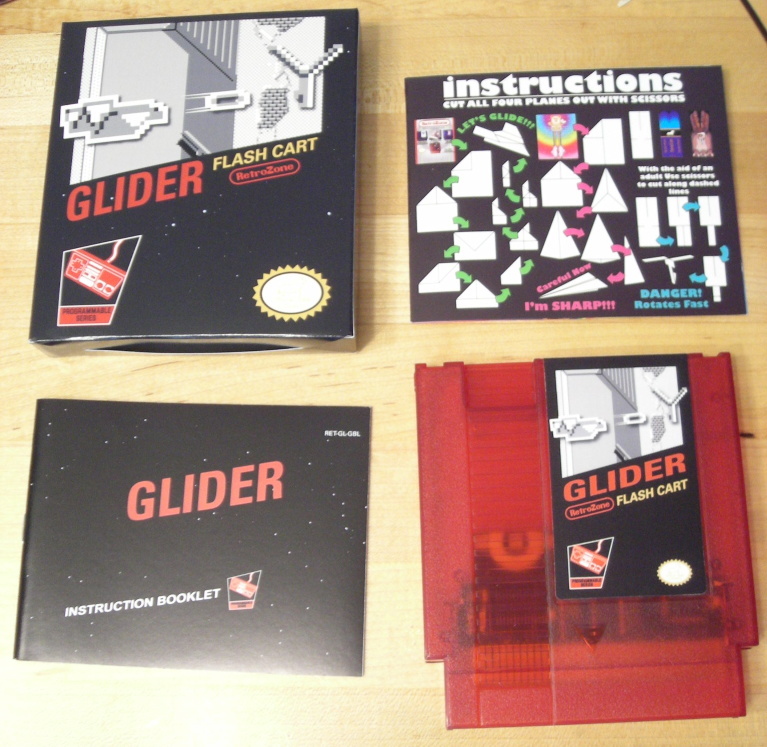 Jump into your Glider and ride the vents to escape The House in the first ever flashable NES game from Brian Parker. In the most advanced homebrew yet you control the paper airplane in search of a way out of the 60 room house. Fly over floor vents to get lift or use fans for a speed boost. This house wasn't build very well so you will have to avoid water leaks, arching outlets, paper shredders, and other dangers. Shoot down fast moving enemy planes with rubber bands for more points! When your paper isn't in danger, collect bonus items. Use warp zones to jump to rooms later in the house. 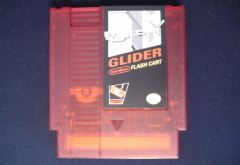 The Glider cart is flashable which means you can replace the built in house with brand new ones. Once you beat The House get a new set of rooms from www.retrousb.com and use a USB CopyNES. Much more than a reproduction, this original game cartridge is built using all new parts. No donor carts were harmed in the making of this game. Glider game and name copyright 1989 John Calhoun. Use vents for lift Dodge enemies! Who built this house? Works on the FC Twin, NEX, and Retro Duo clones. Does not work on Yobo clones. Untested on portable systems, not likely to work. Mad House - 60+ more hard rooms, save your battery!